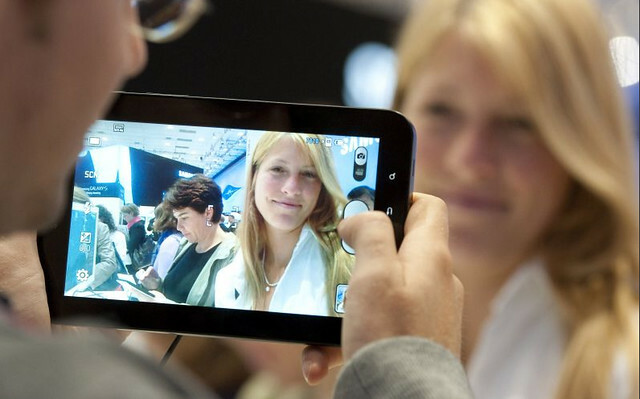 The Samsung Galaxy Tab is an Android-based compact tablet computer produced by Samsung that debuted on the 2nd of September at the 2010 IFA in Berlin. It features a 7 inch widescreen TFT-LCD touchscreen (1024 × 600 px), Wi-Fi capability, a 1.0 GHz ARM Cortex A8 (Hummingbird) processor, and the Swype input system. It is equipped with 2 cameras, a 3.2MP rear-facing camera with LED flash and a 1.3MP front facing camera for video calls. 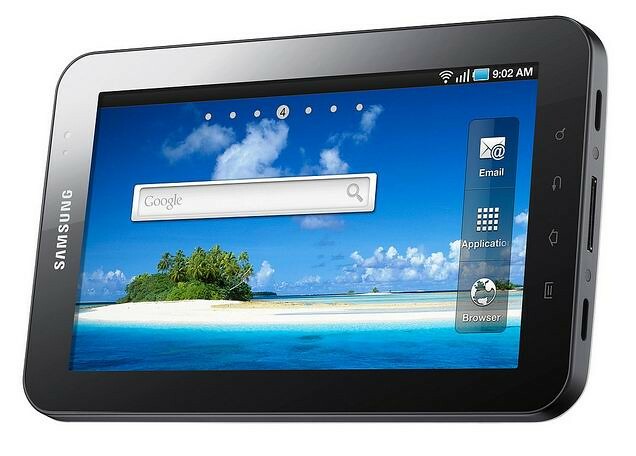 The Galaxy Tab, at release, was equipped with Android 2.2 (Froyo). 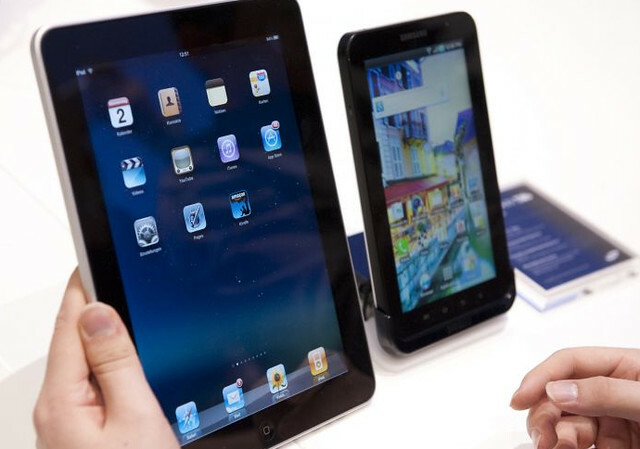 The tablet’s lower weight and ability to make phone calls are two of the main advantages it has over Apple’s iPad, Samsung said. Storage capacity: Flash memory, 16GB or 32GB models and a MicroSD slot. 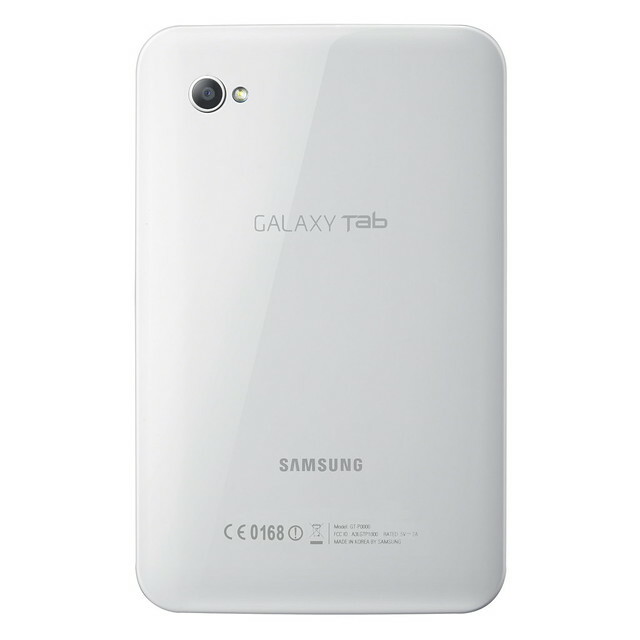 Samsung doesn’t want to comment on pricing, but the tablet will be sold via operators with subsidies and monthly plans.